One team that we tendto forget from time to time when it comes to stadium discussions is the Kansas City Wizards. Well we may be putting their stadium needs to rest soon enough. KansasCity.com is reporting this evening that a final agreement for the stadium development is finally up for consideration by Wyandotte County officials. 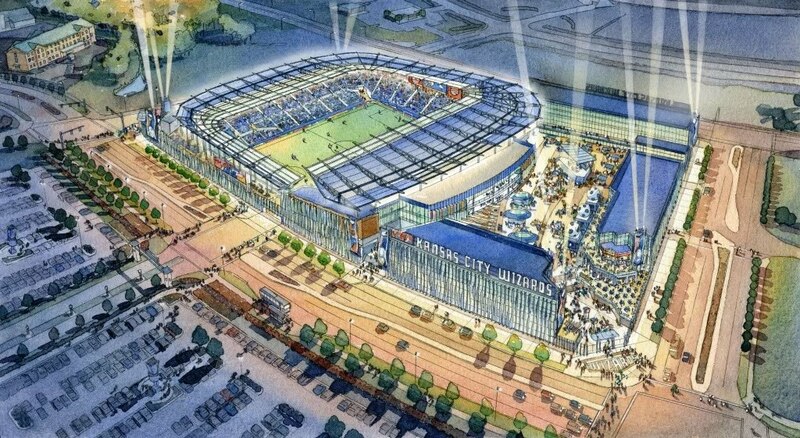 The Unified Government of Wyandotte County has scheduled a special meeting for Tuesday to review the agreement, which calls for the 18,000-seat stadium to be completed by the 2012 soccer season, and the first 1,000 Cerner Corp. employees to be working at the planned office development by the end of 2012. The project, which is being developed by OnGoal LLC, the owner of the Kansas City Wizards, and Lane4 Property Group, is being subsidized with $85 million in state tax credits and cash, and $144.5 million in STAR Bond assistance. County officials are being asked to approve the development agreement and authorize issuing the STAR Bonds at the special meeting. This is good news for not only Wizards fans but fans around the league. Plus it will actually put to sleep those long standing rumors of moving the Wizards out of Kansas City. Should the Wizards get into their new stadium on time it will only leave a very small portion of the league’s clubs without a soccer-only facility.